Infiniti Service and Repair in Walnut Creek | Frank's Auto Service & Repair, Inc.
Frank’s Auto Service is the leading Walnut Creek Infiniti service and repair shop. Our nationally ASE certified technicians possess in-depth diagnostic and repair skills, and are equipped with the latest computerized tools to keep your Infiniti performing at its peak – driving an Infiniti is a luxurious experience, and it should not be tainted by car problems. When you visit Frank’s Auto Service, our friendly staff will provide you with superior customer service, and your vehicle will be treated with the care it deserves. We have been serving Walnut Creek for over sixty years, and can provide your Infiniti with manufacturer recommended maintenance, diagnostics, and repairs. In most cases, we will get your vehicle serviced and back on the road the same day. Servicing your Infiniti with Frank’s Auto Service maintains manufacturer warranty in force. Frank’s Auto Service is a full service auto repair shop, so in addition to manufacturer recommended maintenance, we can perform a broad range of services and repairs, including: battery service, AC recharge, brake repair, brake pad replacement, radiator replacement, coolant leak repair, oil leak repair, shocks and struts, transmission problems, engine repair, spark plugs replacement, brake fluid flush, transmission fluid flush, fuel pump repair/replacement, water pump repair/replacement, blocked fuel line repair, ball joints, control arms, oxygen sensor replacement, TPMS sensor replacement, and of course the infamous “check engine” light diagnostics and repairs – and this only an abbreviated list of services and repairs we offer. 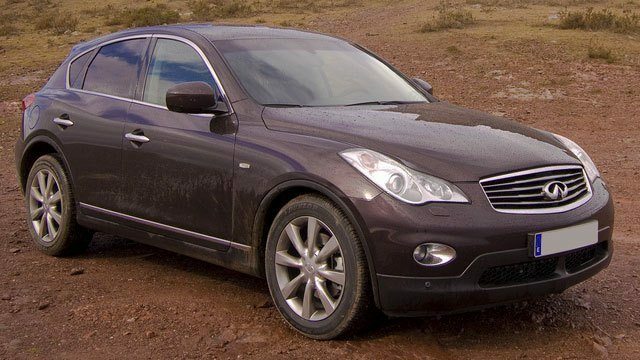 At Frank’s Auto we service all Infiniti models, including Q45, Q50, Q60, Q70, Q70L, QX50, QX60, QX80, and the M class. After performing inspections, we will provide you (via email or text) a detailed report of all issues we find, and prioritize needed repairs and services. When a condition does not warrant immediate repairs, we will monitor it for you. We are happy to answer questions you may have about your Infiniti – give us a call. And if your vehicle does require service, diagnostics, or repairs, schedule an appointment online, or simply call us.